Their only problem was that they promised forever in a world where even life is temporary. Arianna Dover loved one and only one boy in her entire life, and that was Christopher. But hate had some cruel plans for her and forced her to end the realest relationship she ever had. Now, five lengthy years later, Arianna returns home and is quickly reunited with her ex lover, all thanks to work. Though this may seem as a perfect chance to rekindle her romance, it’s actually the quite opposite. This time Christopher isn’t alone. He has a fiancé on his side. Battling her inner demons, Arianna takes the dilapidated road towards a better future only to be crushed over and over along the way. Family issues, friends betrayal, mental conditions, and many other dilemmas crash upon her. Ruined as she is, her journey takes so many twists and turns messing up her already knotted life. However, will one of these horrific turns lead her into the arms of her forever? 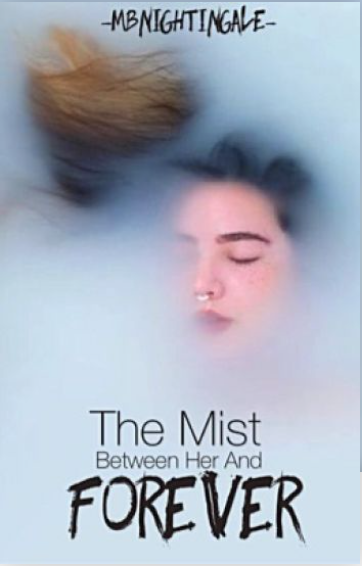 Read “The Mist Between Her and Forever” here.